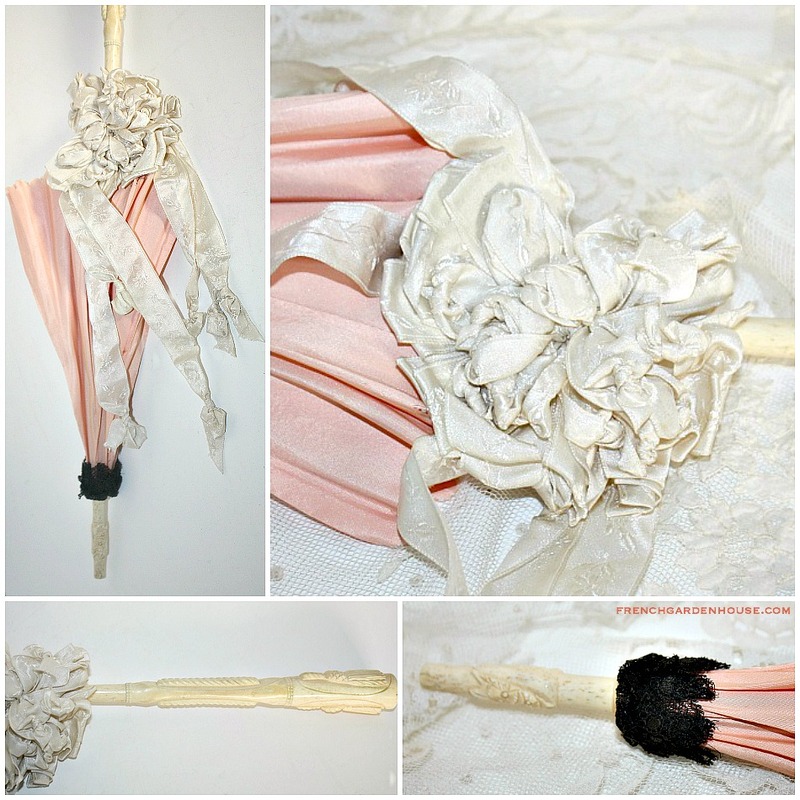 Stunning Antique Parasol, made of a delicious Apricot silk, a quality hand carved Cream Handle and superior cream white Floral French ribbon embellishment is what makes this a collectible desirable addition to your collection. Dates to around 1874, like examples are in the Museum of Fine Arts in Boston. 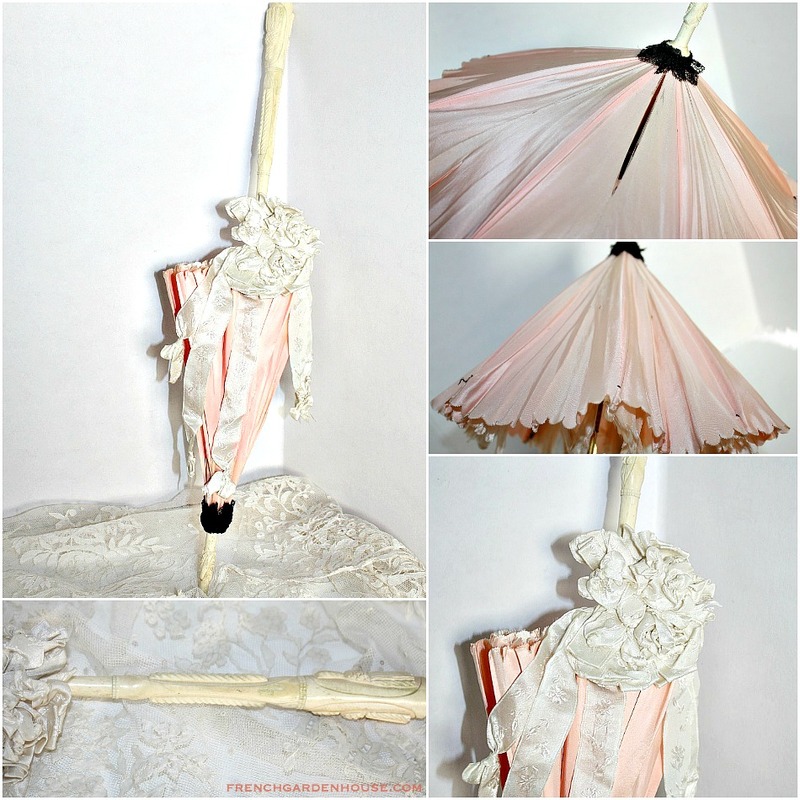 Made for a petite fille, or doll, this child's size parasol makes a lovely display, but she is not perfect. 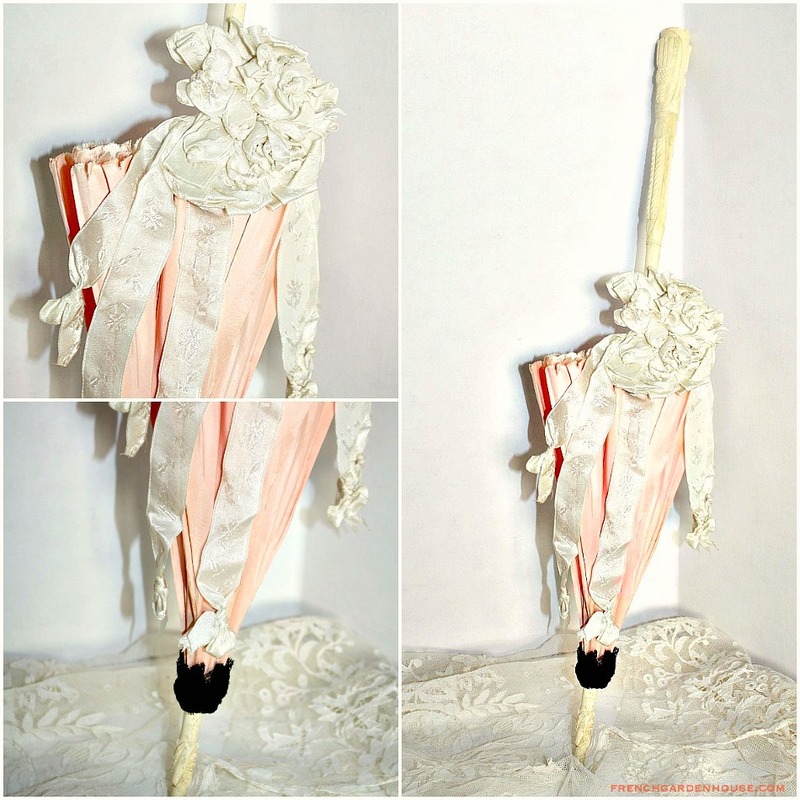 If you love this, and don't mind the spilts, you will delight in using her as a display with your beloved large French Poupee, German doll, or antique Children's Clothing Collection. 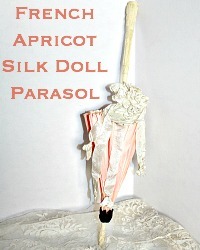 Measures: 22"long, 16" in diameter when fully open.